Once the surface is prepare we can proceed with the examination, in the following weeks we will described these examination procedures and application methods. The examination method shall be the Dry Continuous Method where the iron powder (either red, black, gray, or yellow) is applied to the surface and the magnetizing current is applied at the same time. The Prod Method shall be used on castings, weldments, forgings, and fabricated parts. Where it is inconvenient to use Prods such as on machined components or small parts, the contact and/or coil method may be used. The magnetic particle examination method may be applied to …… cracks and other discontinuities on or near the surfaces of ferromagnetic materials. The sensitivity is greatest for surface discontinuities and diminishes rapidly with increasing discontinuities and diminishes rapidly with increasing depth of subsurface discontinuities below the surface. Typical types of discontinuities than can be detected by this method are cracks, laps, seams, cold shuts and laminations. Magnetic Particle Examination shall be performed prior to post weld heat treatment unless otherwise required by the applicable code. The surface to be examined and all adjacent areas within at least one (1) inch (24.54 mm) of the surface to be examined shall be dry and free of any dirt, grease, lint, scale, welding flux, spatter, oil, or other extraneous matter that would interfere with the examination. Wire brushing, grinding, and filing are acceptable mechanical methods of cleaning. Grit or sandblasting may be used only to clean, but shall not be used to peen or work the surfaces to be inspected. Solvents may be employed for the removal of grease and oils. Surfaces shall be smooth to the extent that there are no abrupt ridges or valleys. Tapped or other openings shall be plugged as required to prevent the entrance of magnetic particles. 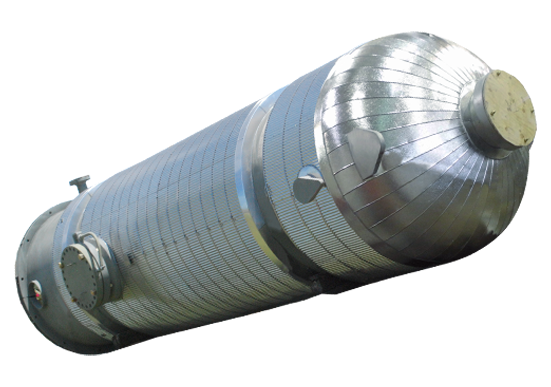 ASME pressure vessel specialists Houston Vessel Manufacturing (HVM), a sister company of Generon IGS, completed 144 PED certified vessels and 96 CE certified Air Lock assemblies in less than ten (10) weeks from approved drawings. Vessels were purchased by Allen-Sherman-Hoff (A-S-H is the recognized global industry leader in ash handling and is a division of Diamond Power International, Inc) and will be used by AES-3C, a subsidiary the AES Corporation, in a state of the art power plant being constructed in Bulgaria under AES-3C’s design and management. All the vessels are Air Lock Assemblies for a Power Generation Plant and are PED 97/23/EC (European Pressure Equipment Directive), ASME Sec VIII Div 1, and CE certified. 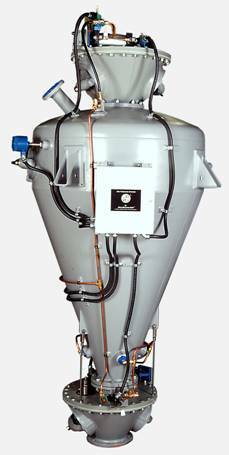 Each assembly consists of three individual PED vessels that are, when completed, assembled and then wiring and tubing is installed for pneumatic and electrical controls, as well as all fabrication and assembly of mechanical components for the air lock valves. The three companies, working closely with the PED and ASME bodies and inspectors, were able to complete this impressive amount of work by coordinating design, engineering, on-site personnel, and fabricators to ensure issues were identified and corrected promptly. This impressive accomplishment encountered all the same hiccups every job encounters; rejected material, rework, multiple hold points, 3rd party inspectors being scheduled, etc. But, due to the guidance and oversight from A-S-H, along with their customer AES, HVM was able to complete the project within the specified time frame allotted. The Pressure Equipment Directive (PED) is European Legislation based on Essential Safety Requirements (ESRs) that govern design, manufacturing, inspection and testing. PED affects most equipment that will be placed on the market in the European Economic Area (EEA) designed for pressures above 0.5 bar g or 7.25 psi g. It assures the vessel is safe and meets essential safety requirements covering design, manufacture and testing; satisfies appropriate conformity assessment procedures; and carries the CE marking and other information. 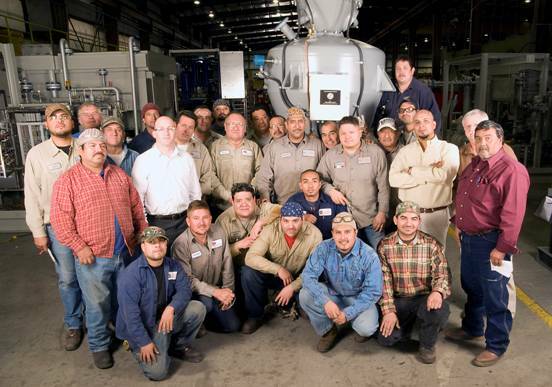 The fabricator must have each participating welder be “3rd Party” certified to PED standards along with authorized inspectors, associated with the European body, who are required to perform ‘sign offs’ at every fit and weld; as well as witness the hydrostatic test. HVM maintains ASME certifications for ASME Section VIII, Division 1 and Division 2, "U", "R" and “NB” Stamps conforming to the American Society of Mechanical Engineers and the National Board of Boiler & Pressure Vessel Inspectors codes, as well as certificate registration for CRN, (Canadian Registration Number) and PED, (European Union - Pressure Equipment Directive). Also maintaining certifications in ABS, AS-1210, NR-13, DNV, ABS, API, and others; HVM can meet your vessel and welding specifications.